When you boil down the rich and long history of the Mustang to the very core of the car, peeling back those Americana nuances and Blue Oval subtleties, you are left with what the Mustang is all about: innovation. Since April 17th, 1964 the Mustang has been one of the most innovative cars to ever exist. Model after model, Ford dominated the competition from the other “Big 3” auto manufacturers by constantly reinventing the Mustang. Part of the innovation that launched the Mustang into the success it has had over the past half of a century is the diversity of the sub-models. Since the first generation, you could order a Mustang optioned out exactly how you wanted it, customized to your preferences. Ford even went as far to work with outside car builders to create production Mustangs that take the spirit of the stock models to a whole other level. In the course of doing this they have not only created some of the most iconic and quickest Mustangs ever, but they have created a few legends along the way as well. One of those legends was the result of Ford working with a savvy Texas businessman/racer/gearhead by the name of Carroll Shelby. Notably famous for shoving a large Ford V8 into a tiny British sports car that came to be known as the Shelby 289 Cobra, Carroll Shelby loved the Mustang, but thought he could improve on it. With the release of the Shelby GT350 in 1965, Shelby showed the world a new vision for the Mustang, but he didn’t stop there. Carroll, being the physical representation of innovation and someone who wanted nothing more than a fast car, bestowed to the world the 1967 Shelby GT500, which took a huge 428 Police Interceptor motor and stuffed it in between the shock towers of the Mustang. While Ford largely took control of Shelby vehicle production in ’67, the spirit of Shelby had forever been ingrained within the Mustang identity. After 1970 there wasn’t another Shelby-badged Mustang produced and sold by Ford until 2007, with Ford marking the return by producing a new breed of Shelby GT500. 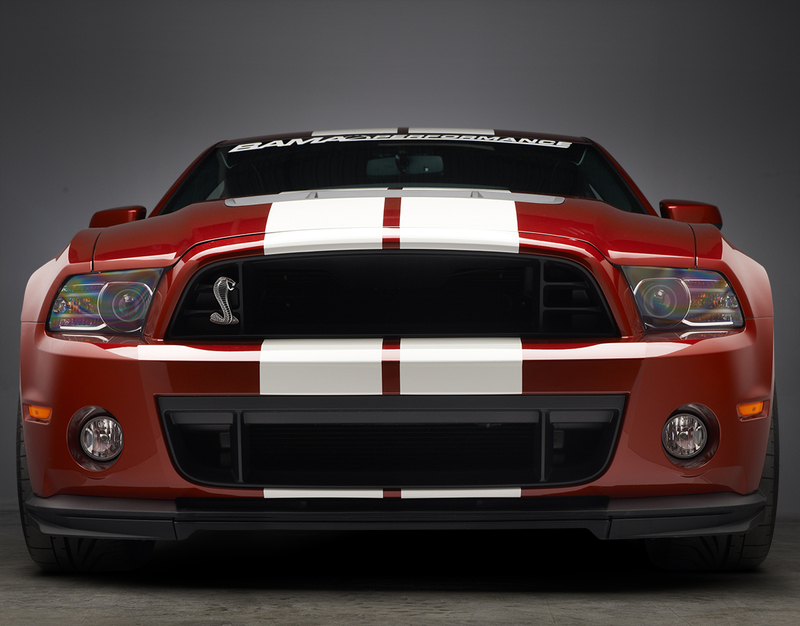 Large hood heat extractors, more aggressive body parts and wheels, the classic ‘Shelby Stripes’, and a huge supercharged 5.4L engine made everyone who saw a 2007 Shelby GT500 stop and do a double take. The idea of a factory, warranty-backed car being let loose on the streets with a staggering 500 HP was unheard of for a pony car. With some minor tweaks to the engine, supercharger, and various other components, the Shelby GT500’s power grew to 540 HP by 2012, which is where many people thought it would stop — oh, how wrong they were. It’s hard to look at a vehicle that has 540 HP and say that it could use more, but essentially that is what Ford did for the 2013-2014 GT500. Ford ditched the 5.4L setup for a bored out 5.8L dubbed the “Trinity” motor, eluding to the Trinity test of the first nuclear weapons. Let that sink in for a moment—Ford named the engine they put into the ’13-’14 Shelby after nuclear weapons testing; if that doesn’t send a message then what would? No matter how you look at it, Ford refused to become complacent with their halo Mustang. Yes, it already produced enough power in a platform that could easily handle any extra power you could throw at it, but that wasn’t enough—why stop there? Ford upped the displacement on the block as well as the supercharger, going from a 1.9L Eaton unit to a new and improved Eaton TVS 2300 2.3L unit. At the end of the day, Ford had channeled its inner Carroll Shelby and added even more power and more engine into a car, which as it stood stock, had more than enough from the factory to get yourself in trouble with. While Carroll Shelby unfortunately passed away in 2012, the 2013 Shelby GT500 was the final car he had worked on with Ford and he was able to see it through to the end. 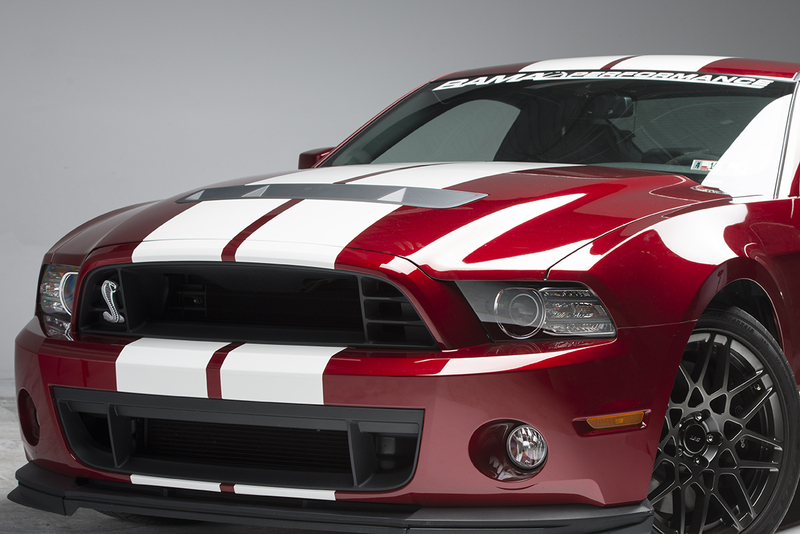 The SVT engineers who had worked on the car and put it together turned to Shelby for inspiration and feedback. Although it wasn’t Shelby American (Carroll Shelby’s business) that built the car, it was Carroll Shelby’s input, vision, and innovation that fueled the creation of the ’13-’14 GT500. 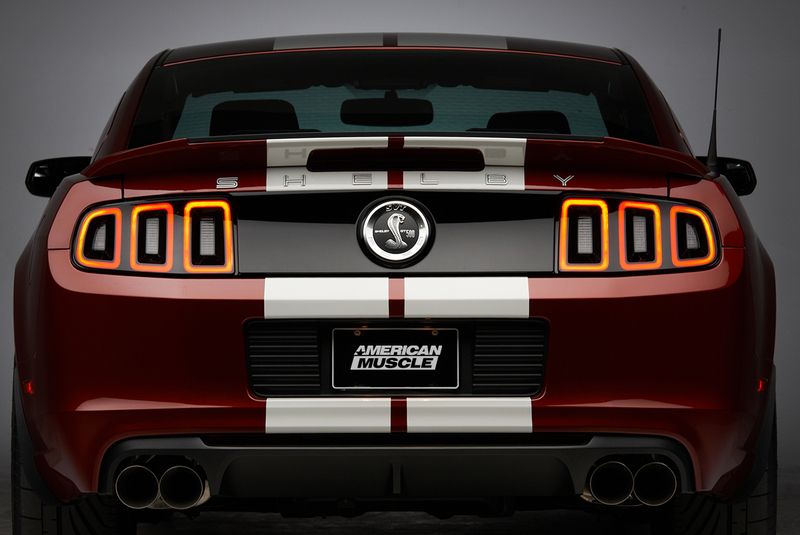 In many ways, the 2013-2014 Shelby GT500 is the greatest Mustang of all time. It takes everything the Mustang has perfected over the years and rolled it up into one insane package that can destroy a ¼ mile or a road track. It packs the power and the performance that we all aspire to get our Mustangs to, and it does so while basking in the legendary history aspire to achieve with our own Mustangs. While we may all aspire to own a Shelby GT500, it can be difficult given low production volume and high cost. Yet, despite of this not all hope is lost. 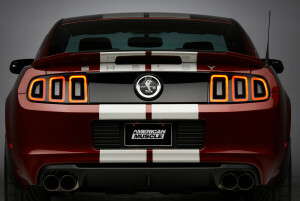 Every single Mustang that rolls off the production line could become a GT500 with the right parts. Yes, even the totally base rental V6 that you drove while on vacation has the potential to be transformed into an absolute monster. This isn’t happen-stance, it’s Ford’s ingenuity. When looking at the Shelby GT500 in overly-simplified terms, it is mix of parts that were assembled in a random shell of a Mustang that had just as much chance of being a Shelby as it did a GT or V6 ; the only difference (also the main one) is that it received the Shelby treatment with an improved powertrain, drivetrain, and suspension. Between Ford and the aftermarket, everything you would need to build a dead-to-rights recreation or a tribute to Carroll Shelby’s GT500 with equal performance is readily available. 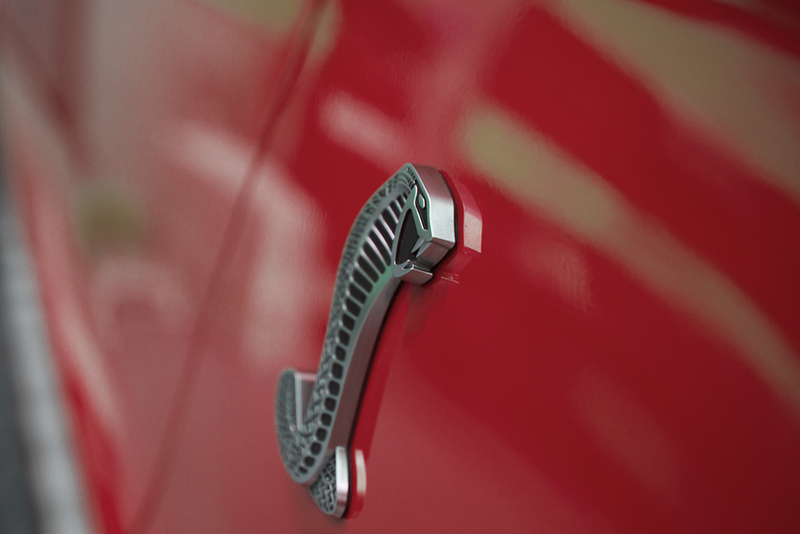 With a parts order and some wrench time, the Shelby you aspire to have could be yours.